As far back as in 19th century neighborhood of Belleville Hill was an ordinary village that actively supplied the capital of France with products and workforce. Foremost, this land was famous for its vineyards and work of local craftsmen. From time to time representatives of noble families visited the place to “get to know people” and stock up on rural dainties. So it went till 1860s when a famous city planner Baron Haussmann came up with his ambitious reconstruction of Paris. After this re-design, countrymen suddenly realized they were Parisians and their neighborhood even became a close-to-the-center one. Prices for residential premises rocketed immediately to remain much lower than in the rest of the city anyway. Traders, small bourgeois and intellectuals that eternally count money, directed their steps to the hill. 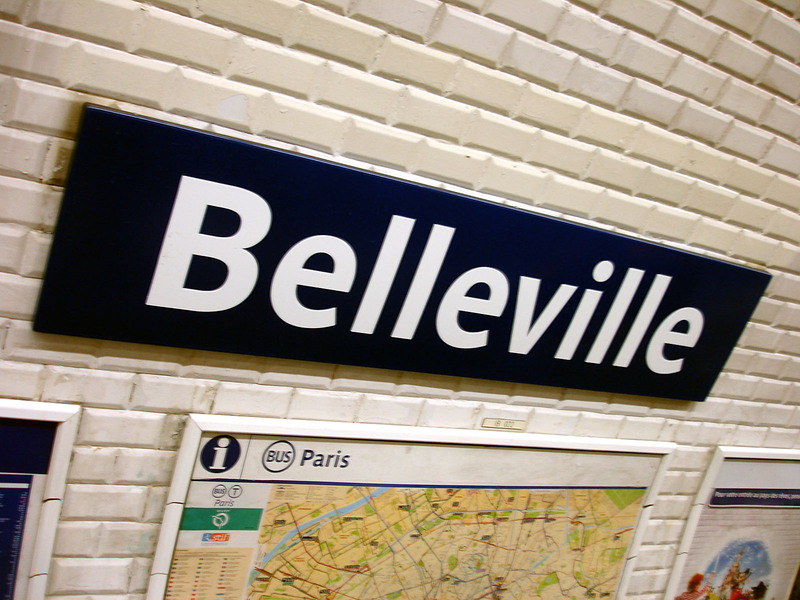 In order to get to the center of this Babylon it is enough to take Line 11 of the metropolitan till Belleville station. Most likely any tourist would freeze for first instants because it is too hard to believe that everything is taking place in reality: Jews and the Arabs peacefully discuss how to repair a common building, where to find a kosher snack bar and a halel restaurant, Africans help the Chinese lay out goods in the market and somewhere nearby an elderly Frenchman campaigns for the Communist party that has always stood high in the neighborhood. You don’t have to strike yourself pink – that’s a commonplace picture there. Streets of “Babylonville”, at a glance, intertwine into a single one, drawn with all kinds of graffiti all along and with permanent trade in progress. 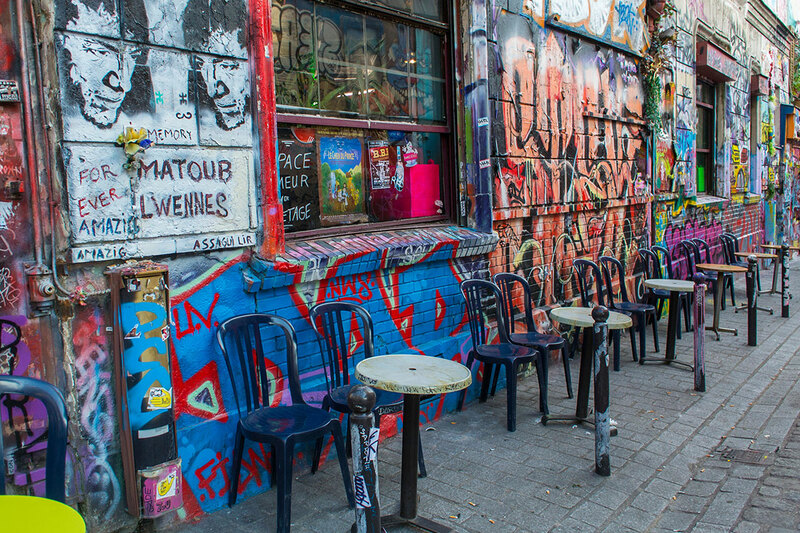 Backstreets, bars, lanes – everything is penetrated with myths and legends of local migrants therefore it is locals that it’s interesting to go for a walk with; they’ll tell and show, for instance, in which house Édith Piaf was born and where the tastiest Polish sausages are sold. 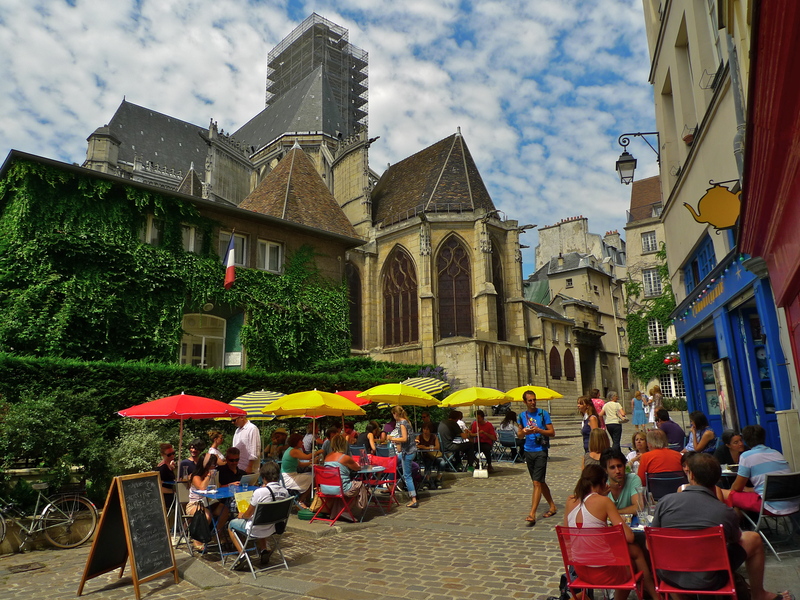 Tourists, who come to Paris, normally don’t come to Belleville neighborhood therefore more often then not guides conduct tours for native Parisians. The district is believed to be an internal tourism spot and there are enough interesting objects there. 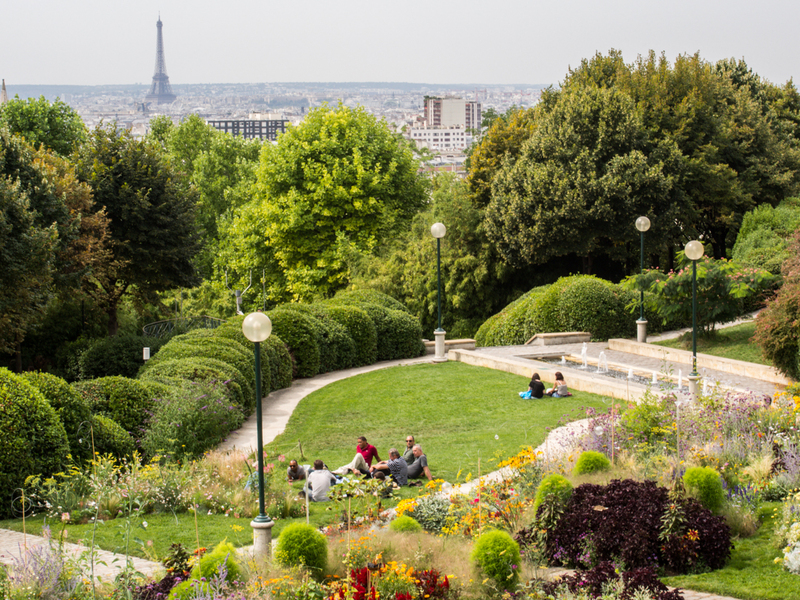 The hill itself is one of the best viewing points from where a simply incredible look over the center of Paris opens. Residents of the neighborhood even joke that they should charge visitors for an ascent - why, is it any worse than the Eiffel Tower? 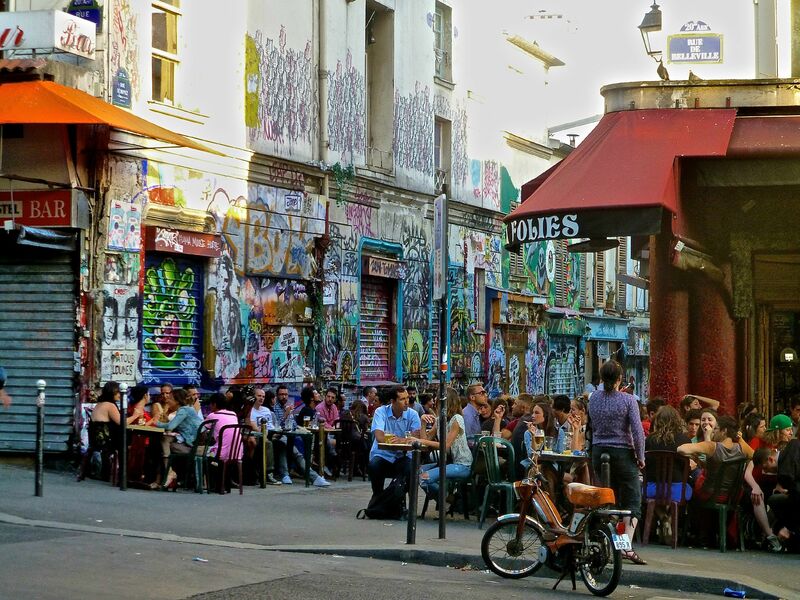 Namesake street, Rue de Belleville, is considered the main one, with its dozens of amazing bars and cafés, where all major cuisines of the world cotton together within one square meter. By the way, it is there, in Number 72, where Édith Piaf was born. She is as nearly as sacred there – probably, every Belleville dweller well in on years would tell he knew her personally or there was even something more… So it should come as no surprise if a barman or a waiter, alongside usual menu, lays in front of you an addition with “favorite deserts and cocktails of the singer”. Slightly aloof from Rue de Belleville an ancient Rue Piat is stretched to come to a local park – a place of choice for leisure and sports. In the shadows of trees one can relax and forget fuss of the capital, enjoy the view and small waterfalls. Outskirts of the garden are awash with vineyards – these are survived reminders about the times when the neighborhood was a village. To the west from the park, on the crossroads of Rue Ramponeau and Rue de Tourtille the last barricade of the Paris Commune times was located. The word is, a sole communard was protecting it for fifteen minutes all by himself to ultimately die valiantly in a battle with Versailles units. Art galleries and workshops of artists deserve special attention. Because of their number it seems like everyone in Bellville who doesn’t sell – paints. The thing is, despite proximity to city center and security level, prices for real estate there are still many-fold lower then in the rest of the city, therefore artists buy out whole basements, that only yesterday were manufactories and ateliers, to create own studios there. Place de Fêtes and Boulevard de Bellville have been the district’s major trade spots since forever. Such number of various small shops, bakeries and stores can hardly be seen anywhere else in Europe. Just like that brave communard, local dwellers stands against plain trade centers and hypermarkets with all their might. For many of locals purchase-and-sale isn’t just the way to earn own living but a lifestyle, established some hundred years ago by predecessors of current inhabitants of the neighborhood. Nowadays Marché de Belleville market is believed to be the cheapest in the city, one can stock up on all kinds of products for the whole week against 30-50 Euro. Outlook hopes that upon execution of must-see program with Eiffel Tower, Montmartre and a boat trip along the Seine you will get there after all to personally experience all the beauties of Paris Babylon because it is another, very important, side of the city that many like so much.